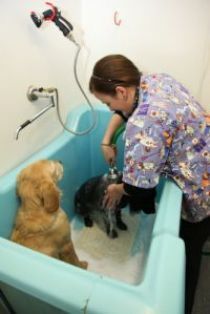 An easy to use, do-it-yourself hydrobath is available for your dog during opening hours. Alternatively we can bath your dog whilst you have a coffee at one of the nearby cafes. Bookings are recommended to avoid delays.